September 20, 2018 – BOSTON – Slone Partners, the leading executive search firm for scientific healthcare companies, along with founder Adam Slone, proudly announces the successful completion of the Third Annual Life Serve Youth Foundation (LSYF) Tennis Camp. The August 12th-26th 2-week program is North America’s only sleepaway tennis camp for underserved youth. The 60 participants are primarily inner-city teens living in the New York to Boston corridor. The camper experience at Camp Eagle Hill, 90 miles north of New York City in the serene Hudson Valley, is both positive and life-changing. Each day is thoughtfully programmed from sunrise to bedtime with intensive tennis workshops, leadership skill sessions, individual mentoring, and other fun camp activities ranging from canoeing to art classes to zip lining. For many of the inner-city campers, seeing a billion nighttime stars, swimming in lakes, boating, experiencing mountainous terrain, and coming into contact with an array of wildlife were eye-opening and exciting life-firsts. Integral to the camping experience is meeting, bunking, eating, playing and bonding with scores of other teens with whom friendships and respect grew quickly. Perspective-changing and life-affirming, the camp’s objective is to instill self-confidence and the skillsets to achieve success on a personal level, academically and ultimately, professionally. A successful businessman, Mr. Slone mentors the campers the entirety of the 2-week program along with tennis pros and counselors. Born with the rare genetic disorder Gaucher’s Disease, which causes chronic fatigue and spleen enlargement, Mr. Slone was unable to play many sports as a child. He then discovered tennis in adolescence, which became his obsession until he achieved a USTA 5.0 Level rating (1% of players worldwide), and won a state tennis championship. Ultimately in 2000, after a dozen years as a diagnostics industry executive, he founded Slone Partners with the mission of placing executive and scientific leaders in life sciences and diagnostics companies. Founding LSYF, a 501c3 nonprofit supported by hundreds of donors nationwide, represents the fulfillment of his lifelong dream to utilize tennis to effect positive change in the lives of teens who face various challenges. What the participating teens have in common beyond socio-economic challenges is a love for tennis. 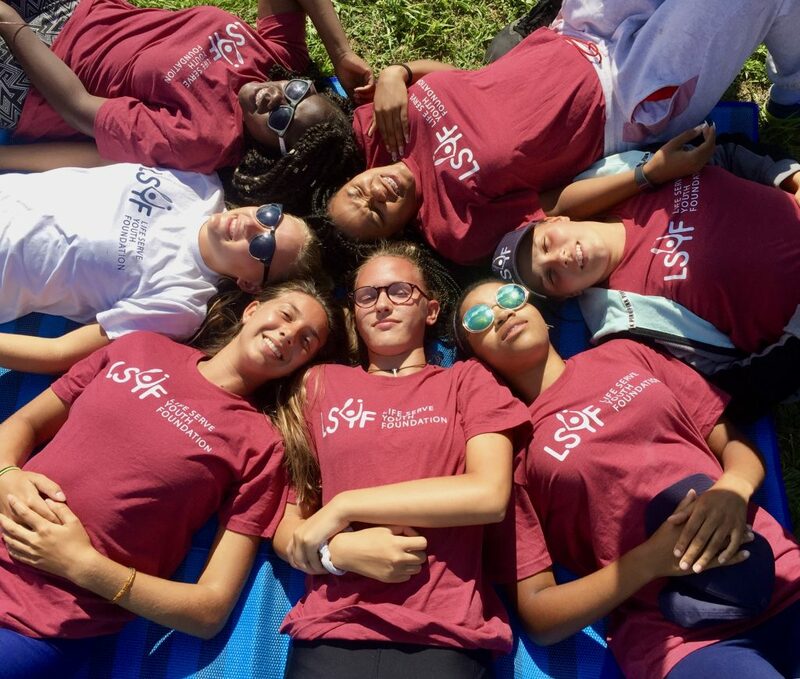 In choosing its roster of 2018 campers, LSYF also received assistance and camper nominations from Boston-based Sportsmen’s Tennis & Enrichment Center, and Tenacity, the post-secondary organization that ties fitness to life success. And in a first, the 2018 roster included teens from all five New York City boroughs with the generous assistance of NYJTL New York Junior League Tennis & Learning, and City Parks Foundation.